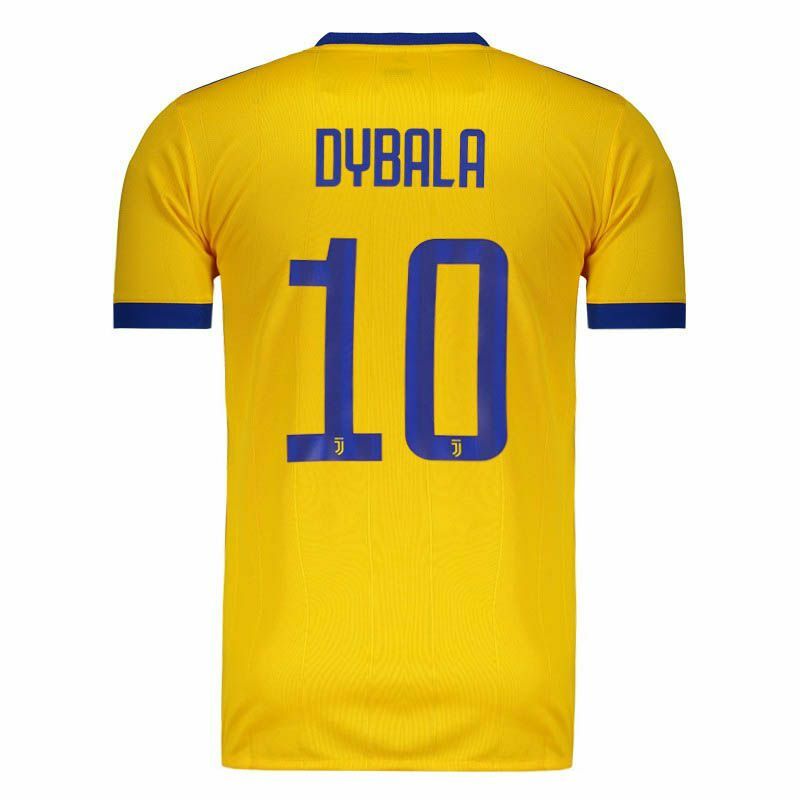 Produced by Adidas, the Juventus reserve shirt for 2018 brings the name and number of the player Dybala customized on the back. The piece is manufactured in recycled polyester, Climacool® technology. More info. 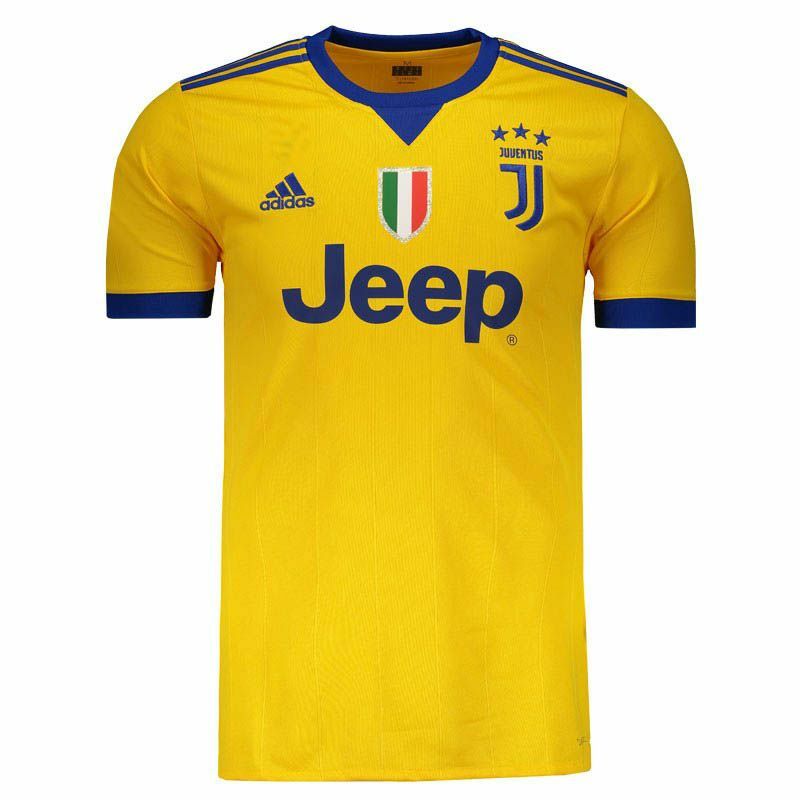 Produced by Adidas, the Juventus reserve shirt for 2018 brings the name and number of the player Dybala customized on the back. The piece is manufactured in recycled polyester, Climacool® technology, a ventilation system specially engineered with materials and components which will provide a superior moisture management, enhanced evaporation and better breathability. Its design has the predominant yellow color, there are still details in blue, as can be seen in the superimposed fabric of the sleeves and collar, which in turn is crew neck with false V, adding even more charm to the piece. 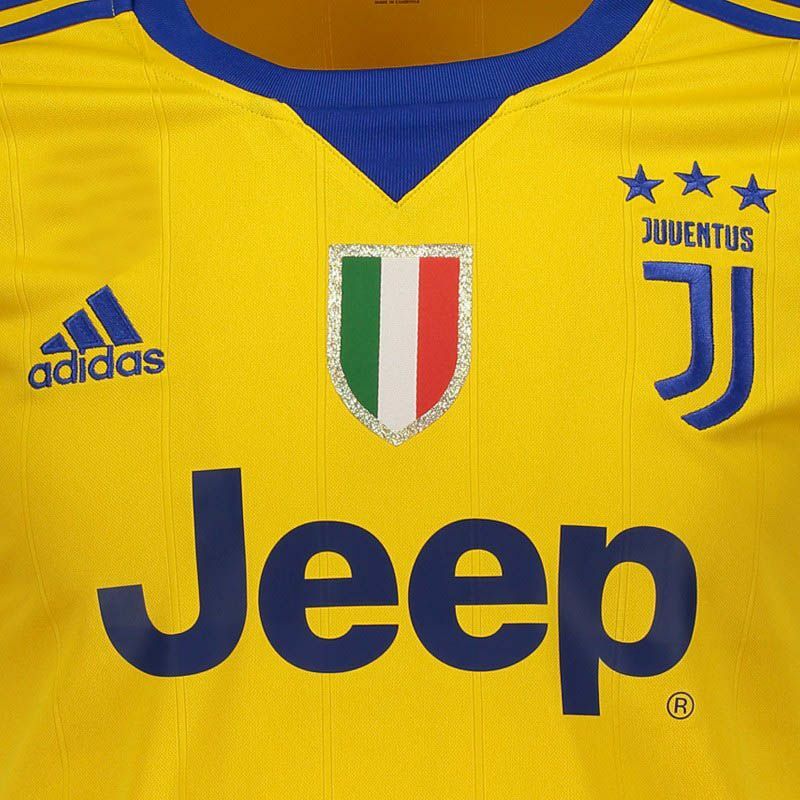 In addition, in the chest, the team's new badge is present on the left chest as traditional, already on the opposite side, the Adidas logo is seen. 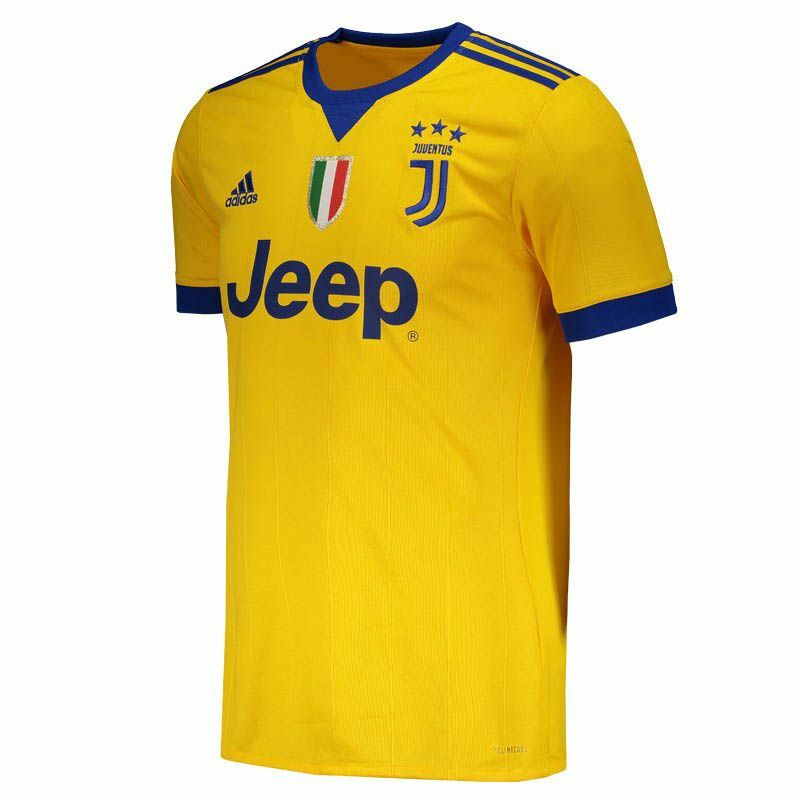 Finally, the classic stripes of the brand is seen in the shoulder region and complementing the details, there is sponsor stamped on the front area of the mantle. Paulo Bruno Exequiel Dybala (Laguna Larga, 15 November 1993) is an Argentine player who plays as a forward striker, currently for Juventus in Italy, but played in Palermo until 2015. Nicknamed as La Joya (The Jewel) due to his creative style, pace and technique, he has been compared with Lionel Messi.